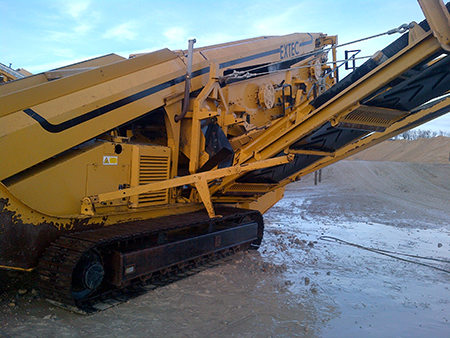 Total Clean Solutions understand the importance of keeping heavy plant machinery in a well maintained condition. Working with engineers and fitters we offer a mobile steam cleaning, degreasing and site dirt removal service's to prepare equipment for service / repair or the next job. The cleaning of road and construction machinery can be slow and expensive. Total Clean Solutions are ideal for heavy-duty cleaning, rapidly penetrating and removing the thickest and hardest types of dirt and deposits. If you have any questions regarding Total Clean Solutions Heavy Plant Cleaning services please call using the numbers above or contact Total Clean Solutions by our online contact form, we are always happy to assist you with any Heavy Plant Cleaning questions you may have. If you feel you would like to receive a quotation for a Heavy Plant Cleaning job, you can either get a online quote with the ability to send Total Clean Solutions photo's of the job that needs cleaning or call on any of numbers above.